Corporal Lawrence Rudy Cadena, Sr.
Corporal Lawrence R. Cadena was shot and killed during an undercover narcotics investigation. As the investigation began, one of the suspects opened Corporal Cadena's car door and shot him in the abdomen, chest, and arms. A gun battle ensued between the shooters and other officers. One assailant was shot and killed, two others were wounded. One of the wounded was sentenced to death and one to life. The suspect sentenced to death was executed on August 14, 2002. 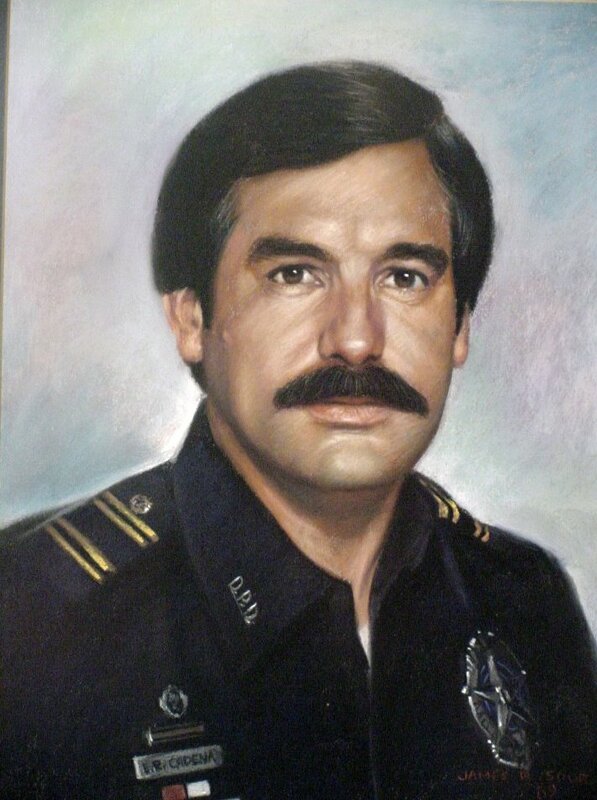 Corporal Cadena had served with the Dallas Police Department for 17 years. He is survived by three children. It is difficult to believe 30 years ago on this night you were taken from us. Without you, the road has been difficult. I could have capitulated many time, but you taught me never give up, even when facing overwhelming odds. I am what I am because of you. I know you can see your beautiful and amazing talented grandchildren. How I wish you could have carried them, have them wash your windows, and cut your grass (just like you compelled me to do every time I visited). I would like to thank everyone for your prayers and my God bless you all.